There are numerous RC helicopter brands that you can find in the market today but we are going to present a quick review of some Syma RC helicopter models. If you want to know more about the RC helicopter products offered by this brand, read on to have an idea how consumers find the models listed below. [caption id="attachment_197" align="alignleft" width="300" caption="Syma S006 Alloy Shark RC Helicopter"] [/caption] Flying this RC helicopter will offer a lot of enjoyment. It may be a little tricky to fly during your first attempt but you are bound to have a lot of fun once you get familiar with the remote. It has a durable design that can withstand crashes which is inevitable even for expert RC pilots. The good thing about this helicopter is that it comes with replacement blades, a major plus for the kit because blades are the easiest to break with RC helicopters. Though it is designed to be flown indoors, you can also fly it outdoors on days with favorable wind conditions. With the satisfaction you can get from this model, it is highly recommended for children and adults alike. 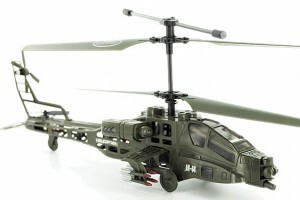 [caption id="attachment_198" align="alignleft" width="300" caption="Syma S012 Apache AH-64 Mini RC Helicopter"] [/caption] This tiny RC model is best used indoors and you will definitely get your money’s worth. The minor drawback is the flimsiness of the plastic wheels but this doesn’t matter that much because of the other benefits that make this disadvantage negligible. Because of the ease of use, this model comes highly recommended. [caption id="attachment_199" align="alignleft" width="300" caption="Syma S009 AH-64 RC Helicopter"] [/caption] This 10-inch mini electric helicopter is easy to use and affordable. Some people find it amazing but others don’t have too much fun with this unit. For a relative low price, you can enjoy this helicopter both indoors and outdoors. For beginners, it would be best to have safe landing grounds like grass to avoid damaging the unit because durability is a little questionable. Another weakness is the poorly written instructions. 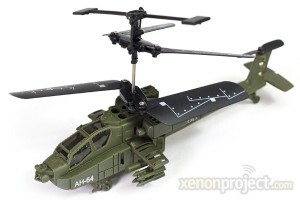 But overall, this model is recommended but caution should be practiced while flying this RC helicopter model. [caption id="attachment_200" align="alignleft" width="300" caption="Syma S018 Mini Airwolf RC Helicopter"] [/caption] When you own this RC model, you will definitely agree that it is easy to control and has a steady flight thus offering a lot of gratification while flying. It is well-designed and constructed for long term use. 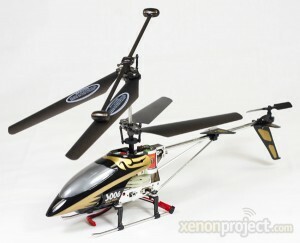 Such an amazing RC helicopter at a very affordable price. Charging is fast and allows for longer flight times. However, it can be a challenge to fly it when the wind suddenly blows because of the size. Due to the durability of this RC helicopter model, it is highly recommended for beginners and experts who fancy small RC helicopters. 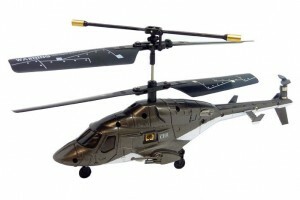 Most users of this RC helicopter model agree that it is very easy to control. It is durable enough to withstand crash landings but the rotor blades are the easiest to break. The short battery life can also spoil the fun most of the time. Suitable for indoor flying for older kids and adults. This easy flyer is highly recommended for beginners.